On the Klausenpass-Line you dive right into the homeland of Willhelm Tell. Discover a unique, mountain embossed Area between Flüelen and Linthal. 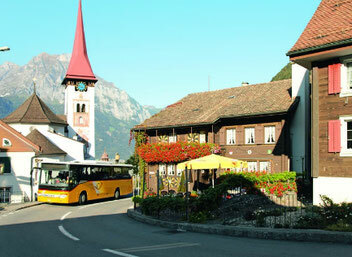 Between the Cantons of Uri and Glarus you'll get to know a real piece of the historic Switzerland. The Post-Bus operates from June 23th to October 14th 2018.